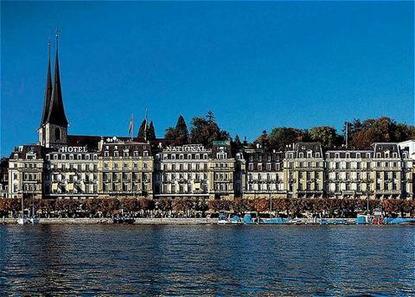 Welcome to the Grand Hotel National in Lucerne. Established in 1871 this unique castle by the lake combines the comfort of a luxury hotel with genuine Swiss hospitality. Beautifully situated on the shore of Lake Lucerne, next to major sights and shopping district. 60 km from Zurich airport (1 hour by car or train).